Increasingly, most plan purchases are now in a digital format. We suggest you consider the following before deciding which plan package to buy if you plan on making change to the home design. If you want your blueprints as soon as possible, or your local building department or builder want electronic files, then purchasing in digital format is the way to go. We offer blueprints in two digital formats: PDF and CAD. Both formats come with a copyright release, which allows you to make changes. Purchase a PDF file if your plan changes are either minor or more involved, and buy a CAD file if you are making major design changes to the home you’ve selected. After your modifications are made, your local print shop can print as many sets of the blueprints as you need. PDF construction drawings can be printed in any size you choose, but the electronic files cannot be altered. To make changes to a design that is in a PDF format, the digital drawings must be printed on bond paper and use whiteout, or on erasable paper or vellum and the desired changes made by hand. Another option is to have a designer re-enter, or reconfigure the drawing files using a computer aided design CAD Program. Because there will be further drawing work involved if you purchase the PDF file and customize it, this type of plan package can be used for both minor or more involved modifications to a home. Also, the best plan package option for handling local code changes is a PDF file. It’s important to consider that stock plans are not sealed/stamped by a professional engineer or architect, as may be required by certain building departments. If that is a requirement for your locale, you will need to take your plans to a local engineer or architect for review and sealing/stamping. The professional sealing/stamping the plans must be licensed in the state in which you intend to build. We recommend that all changes made to the plans also be review by a licensed design professional. Some locations have very strict engineering requirements, and you will need to ensure your plans comply with your local codes. A few examples include earthquake-prone areas along the Pacific Coast; hurricane risk areas along the Southeast and Gulf Coasts; and areas of high population density. But, any area of the country may be subject to stricter codes, not just coastal or severe weather regions. So, if you learn you are building in an area with strict codes, it is most likely you will need to hire a state licensed structural engineer to provide analysis as required by your local building authority. If you aren’t sure, most building departments have a handout listing all of the requirements for obtaining a building permit. Purchasing the PDF file will allow you to print out your plans and add notes, modifications, or other information so the plan will meet your local codes. CAD drawings are the most expensive option, but offer the most flexibility if you have major changes to make to the home. Your local design professional or builder with design capability can easily make your desired changes to the drawings in a CAD format. Making those changes is quicker and less expensive, and you have an electronic file to submit to subcontractors and local building authorities when your changes are completed. You can also print as many copies of the drawings in any size you choose. 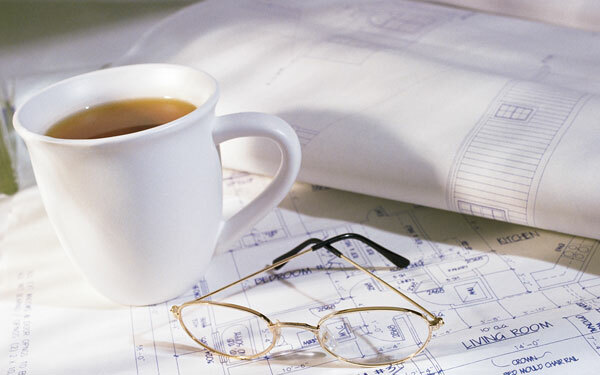 If you make further changes down the line, it is easy to get the plan revisions to the subcontractors and local building authority, and you are saved the expense of having to print new drawings for every revision. Before digital technology became as advanced as it is today, Reproducible Masters were a necessity; however, they are advisable only for minor revisions. You receive a single set of drawings on vellum or bond paper. Bond paper requires the use of whiteout in order to modify, and erasable paper or vellum requires the use of a high-speed eraser for making drawing changes. The copyright release that comes with the reproducible masters allows you to have as many sets of the revised drawings printed/copied as you need. Adding or removing fireplaces, garages, false dormers and other features that do not affect the other drawings within the blueprints. All of the plans described above include a copyright release which allows the buyer of the plans to have the ability to change the design as well as make additional copies, but keep in mind, these packages include a license to build the structure only one time. 1-800-0373-2646 and we’ll be happy to answer any further questions.